A couple weeks ago my fiancé and I bought a house! He moved in first, but I cook most of our meals over there each night. Even in the midst of moving and unpacking, I was able to make home-cooked meals. Want to know how? Keep reading! This post is sponsored by Blue Apron. All opinions are my own. I recently discovered Blue Apron and decided to give it a shot during the first week after we bought our house. 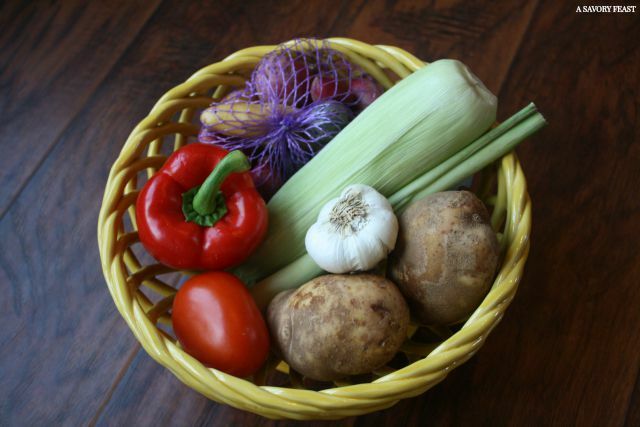 This food delivery service sends farm-fresh ingredients to your door. The refrigerated box is filled with the ingredients to make delicious meals. This service was just what I needed after the craziness of moving! 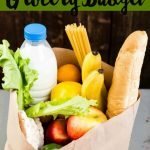 I didn’t have the time to do a big grocery shopping trip during the first week or two, so having everything delivered to my door was a huge help. When you open your Blue Apron box, you’ll find recipe cards that explain each dish you’ll be making. These cards made cooking so easy! 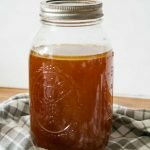 The pictures show exactly which ingredients to use and how to make the recipe step-by-step. While these cards make cooking your meals easy, it’s not “cooking for dummies.” You still need to know how to do basic cooking tasks like mincing garlic. One of my favorite things about Blue Apron was that it allowed me to try new ingredients. One of the meals I got was Crispy Catfish & Freekeh. I had never used freekeh before, so it was exciting to try something new! It’s similar to rice or quinoa but is really good for you. Andrew and I both loved it and want to try cooking with it again. 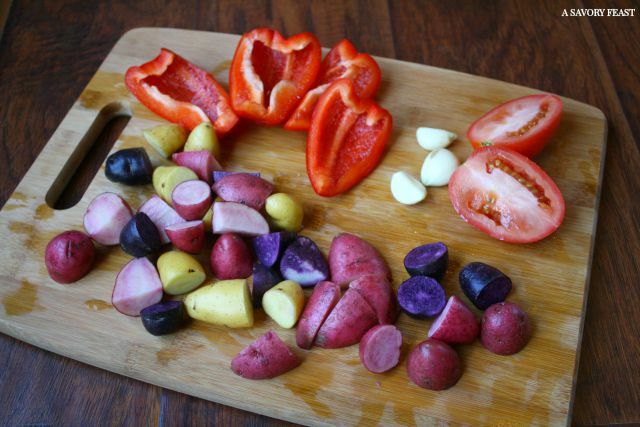 I am still in awe that all of these colorful, fresh vegetables came in a box! The Blue Apron boxes are refrigerated, so you don’t have to worry about being home when they are delivered. There is just enough of each ingredient so you don’t have to guess how much you will need and end up wasting food. 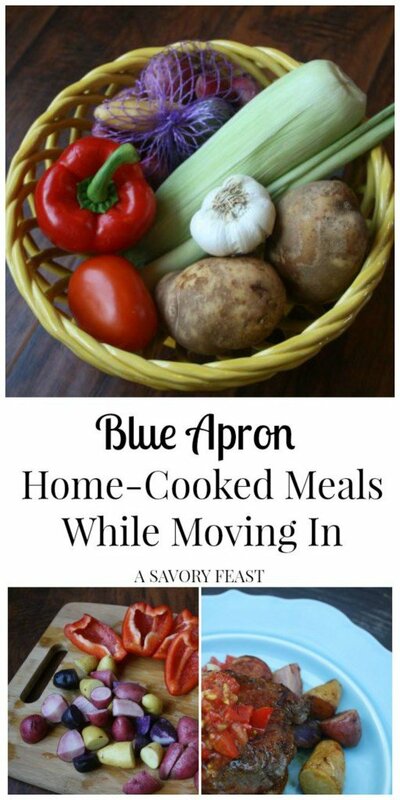 I was hesitant to try Blue Apron at first because I love to meal plan and grocery shop. But when we were moving into the new house it was hard to find time. These meals definitely weren’t boring or disappointing, so it was fun to open the box and see what I got to make that week. The nice thing is that there is no long-term commitment for using the service. You can start and stop at any time. Since I love coming up with my own recipes and typically have the time to shop, it’s not something I’d do every week. But, I’ll probably be using Blue Apron again in the next couple months as we get closer to the wedding. I was also pleasantly surprised to find out how affordable Blue Apron is. There are two plans to choose from. The 2-Person Plan is one delivery of three meals each week. It only costs $9.99 per person per meal. While I know I typically spend less than that when I cook my own meals at home, it’s certainly less than going out to eat! The Family Plan delivers enough food for four in your choice of one or two deliveries per week. This plan costs $8.74 per person per meal. Each meal is able to be prepared in under 40 minutes. 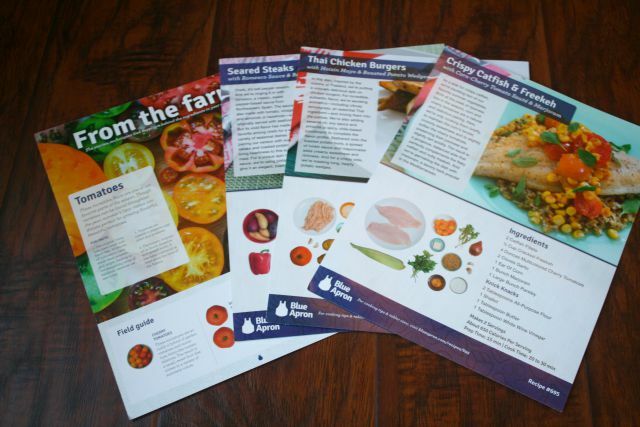 The recipe cards show you how to prepare each meal step-by-step. They also help you get everything done at once while telling you what to work on while something else is cooking. I also liked that the portion sizes were big enough to fill us up! 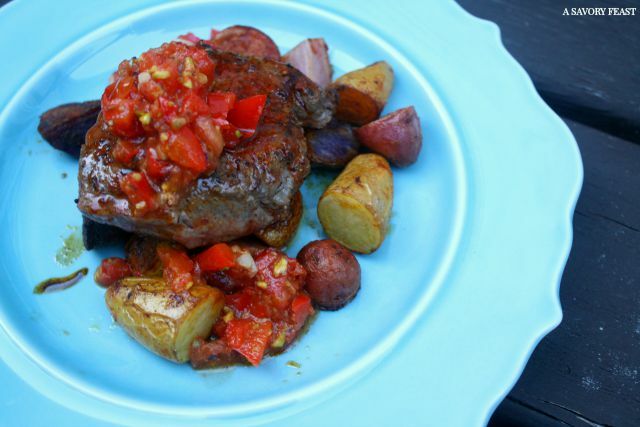 With the Seared Steak recipe shown above, we even had leftovers! The other two meals were exactly enough food for one meal. Special Offer for A Savory Feast Readers! I’m so excited to tell you that Blue Apron is offering a special deal for A Savory Feast readers. Click here to try Blue Apron and get two free meals in your first order! Have you tried Blue Apron before? What did you think? If not, would you give it a shot? Great tips Jenna! Hope the move is going smoothly!!! Thanks, Kristi! The move has been going great. You would be so proud of all the DIY’s I’ve been doing! I’m planning on using a few of your ideas, too. What an awesome service. All of that food looks so gorgeous, too. I know it tasted delicious! It was so good! I was really impressed with everything. Oh you got some great meals to try out! I was so impressed with this service we still order it! I was a little worried I would get some meals I didn’t like, but everything was awesome! It was fun to try out some different recipes or ingredients. I’ll definitely be using the service again since I’ll be so busy in the next two months. I’ve heard about Blue Apron on a couple podcasts I listen to, and have always been intrigued! Love the options they give you! You should so try it! I really enjoyed all of the food and it made cooking so much easier during the busy moving week. I do a lot of moving so this is really helpful! This would also be great for nights we have sports or scouts! 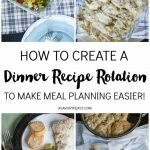 It makes cooking on busy nights so much easier! You should give it a try. I have always wanted to give Blue Apron a try! I love the ease of the concept. Your meal looks delicious! You should try it! 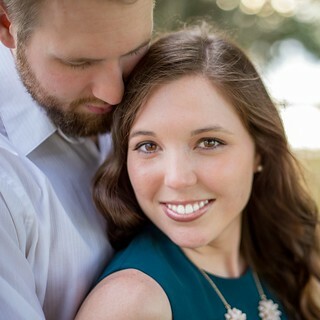 I love cooking and meal planning but I still had a ton of fun with this service. I keep hearing about blue apron and it sounds like such a cool service! I seriously need to give it a try! You need to try it! It’s so easy and all the recipes were delicious. I’ve always wanted to try Blue Apron! You should! It’s a great service. I’ll definitely be doing it again in the next couple months. 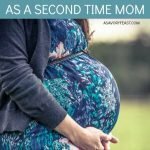 I’ve heard so many wonderful things about these guys and can’t wait to try them after I have this second baby – I’m hoping they’re a life saver (and time saver)! It would be perfect for after baby! No need to worry about taking 2 littles to the store.